The term webinar is a shortened version of its full title, Web-based Seminar. A webinar serves many purposes, which includes workshops, presentations, product demos, lectures, seminars, live meetings, and live training. Video-streaming webinars are incredibly useful for interacting with an audience that may be scattered across the globe. Now that the question ‘what is a webinar?’ has been answered, it is important to distinguish what a webinar is not. A webinar is not a webcast. As similar as their names may sound, they are two different delivery tools. While both webcasts and webinars use live video to deliver workshops, presentations, product demos, and etcetera, webcasts are one-way learning modules while webinars allow for attendee interaction. A fair analogy is that webcast are like megaphones while webinars are like walkie-talkies. During a webcast, attendees are unable to participate or ask questions of the organizer. Although webinars are extremely popular in the field of higher education, businesses are also keen to utilize this technology. Webinars are invaluable for demonstrating technologies remotely to clients and/or colleagues. During a product demonstration via webinar, a client may interrupt the video-streaming demonstration at anytime to ask a question. My experience with product demonstration webinars tends to happen within the week after attending a technology conference. After the conference wraps up, almost 90 percent of the vendors will email blast all conference attendees with invitations to learn more about their product via a demonstrative webinar. Using a webinar for live training can save a lot of time for those moments when employees or students are not able to be present at one location. For example, Human Resources (HR) could optimize their time by using a webinar to teach employees how to fill out a form. An HR representative could guide a whole company step-by-step on how to complete confusing company-related forms. By utilizing a webinar, he or she avoids reciting the same information to every employee in the office, saving time and energy. Workshop webinars are similar to live training, however; there are typically signups and fees involved. 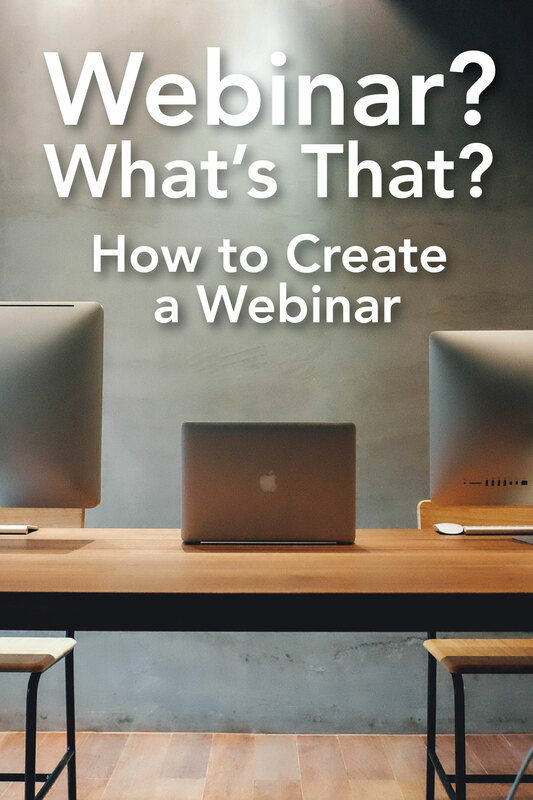 Webinars are very practical for workshops because they usually involve learning a skill or technique from an industry expert. Examples of workshops offering webinars include; web development, 3-D modeling & texturing, IT certifications, and PMP certifications. So now that the definition of webinars have been properly defined, what are the best video-streaming platforms to get started with webinars? In no specific order, here are three suggestions. 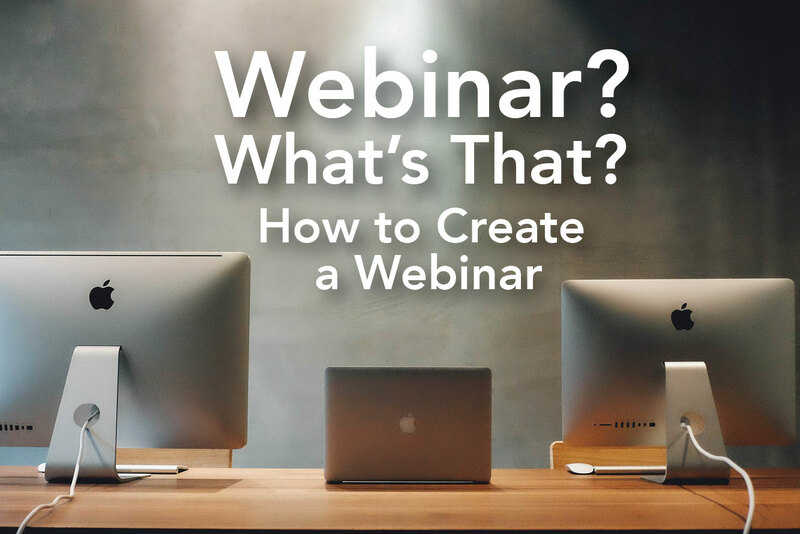 This Google-created platform is a rock star when it comes to delivering webinars. It requires a Google account to present, which is free! Another benefit of Hangouts is the ability to deliver to an unlimited audience on YouTube for free. It’s all free! A large drawback to using Google+ Hangouts is that a presenter cannot charge a fee to join the audience nor can he or she sell a product within the Hangout. This webinar software is similar to Google+ Hangouts but it allows the presenter to charge a fee to attend and sell a product during the webinar. The drawback of using this service is that it is not free. The webinar pricing plans start at $19.97 dollars per month to present to an audience of only 25 attendees. If this product sounds familiar, that’s because it comes from Citrix, the creator of GoToMeeting. This video-streaming webinar service is not free but it includes a lot more features that were developed specifically for webinars. The price starts at $89 dollars per month per organizer for 100 attendees. The features at this price include reporting, analytics, polls, surveys, Q & A, handouts, full-service registration, automated emails, custom branding, voice-over internet protocol (VOIP), phone audio & Toll-Free Option, and a free seat to Citrix’s GoToMeeting Service. Some other webinar video-streaming services include: Skype, Adobe Connect, Cisco WebEx, and many more. What is your experience with webinars? Did I leave anything out? Leave your comments below! It’s truly a great and useful piece of info. I’m happy that you simply shared this useful info with us.